Home / Manic Mondays! • Pretty In Pinky / Manic Monday! Pink Checks Into Grey’s Anatomy After Meeting T.R. Knight! Intern Selfies! Our resident Pinky expert, her colors are pink and pink, she has chosen two shades of pink, one is much darker than the other. Listen, it’s never too early in the week for a Steel Magnolias quote. Not that is has anything to do with Grey’s Anatomy mind you, but to be honest, there was a hospital scene in the movie… sooo…. Anyway, Pinky had the good fortune to meet none other than T.R. Knight from Grey’s Anatomy and she was over the moon about it! Hello, my lovelies. 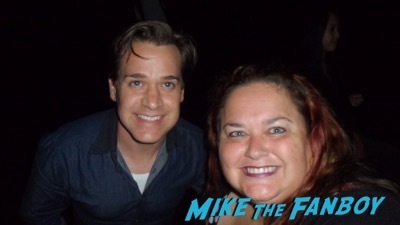 Pinky Lovejoy-Coogan here still completely jazzed about finally meeting Dr. George O’Malley himself, T.R. 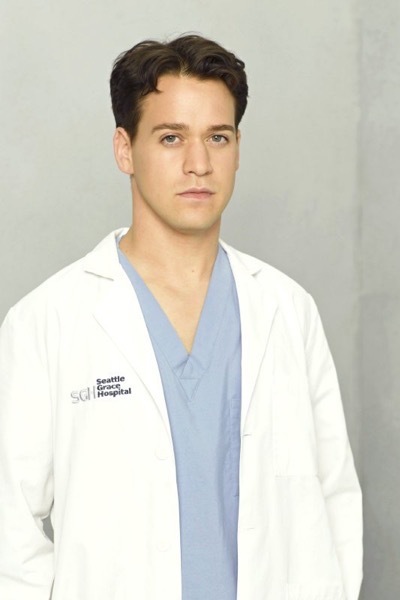 Knight, from Grey’s Anatomy! Now, granted, he’s been off the show for many, many years, but this was my first time ever seeing him in person. 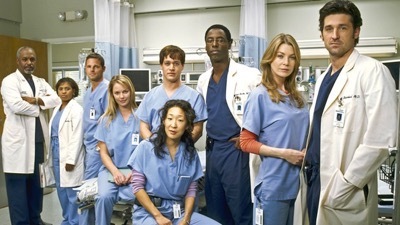 Considering Grey’s Anatomy is my favorite show, meeting one of the original interns was a BIG deal. When I saw T.R. would be making a rare appearance at a theater in Santa Monica, I jumped at the chance to try and meet him. Sadly, we missed him going into the theater by like ten minutes, which meant we had to wait until the show was over. Thankfully, I was able to go into the venue for the Q&A and when it was over I had the chance to meet him. What a total sweetheart! T.R. introduced himself to me and took the time to chat for a minute. It couldn’t have been a better experience and I’m so grateful that he was so awesome! Thank you, T.R.! On two completely unrelated notes – Happy birthday to my dad who turns the big 70 today! 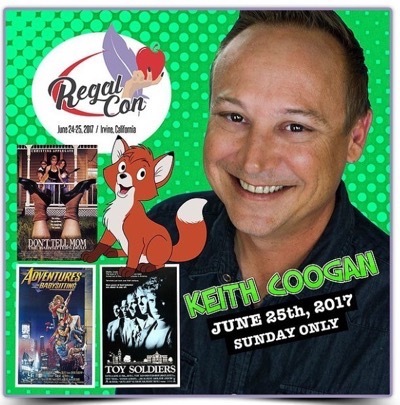 Also, Keith will be a guest at Regal Con on Sunday in Irvine. If you’re in the area, please stop by and say hi! Manic Mondays! Toy Soldiers Reunion! 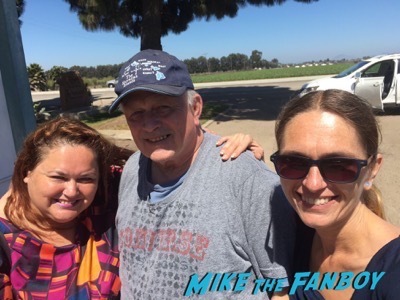 Pinky and Keith Coogan Reunite With Louis Gossett Jr! Manic Monday! 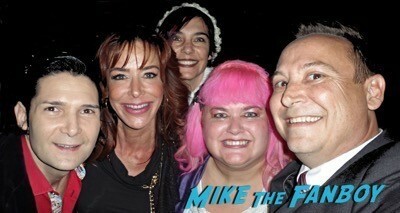 Pinky Meets The ENTIRE Cast Of Modern Family! Say Wha! Ed O’Neil! Julie Bowen! Eric Stonestreet! and More! Manic Mondays! Pinky Sees Dead People After Meeting Haley Joel Osment! The Sixth Sense Goodness!